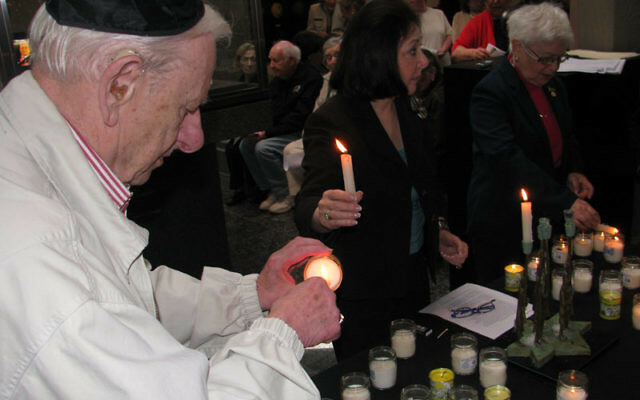 Survivors of the Holocaust and other members of the MetroWest community combined observance of Yom Hashoa on May 2 with a tribute to the late Sister Rose Thering, a Catholic nun who dedicated her life to teaching about the evils of anti-Semitism. 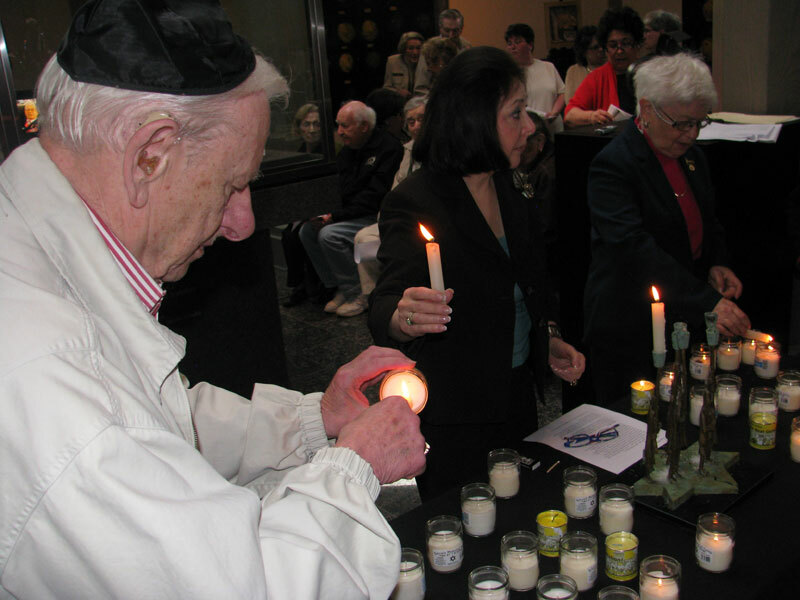 In a 40-minute ceremony in the Wilf Holocaust Memorial on the Aidekman campus in Whippany, survivors and their relatives lit candles to commemorate the Nazi slaughter of six million Jews. Cantor Perry Fine chanted the “El Maleh Rahamim” and led the assemblage in reciting the Kaddish. Shelly Brosch, a daughter of survivors, sang in Yiddish the “Partisans’ Song,” an anthem of the underground resistance written in the Vilna ghetto. Wind saluted Thering, the Holocaust educator who founded the Sister Rose Thering Endowment for Jewish-Christian Studies at Seton Hall University in South Orange. “Rose taught many people about the Holocaust, even people who didn’t want to learn about it, because such was her nature. A good teacher never misses a teaching moment. A great teacher finds a teaching moment even when there isn’t one. Sister Rose created teaching moments,” Wind said, even when she was in the hospital waiting to be operated on or delivering talks on anti-Semitism to drivers of limousines taking her to speaking engagements. Lois Dranikoff, who is active with the council, led a recitation of the Kaddish for Sister Rose. Wind announced that the council is sponsoring the Sister Rose Yad Vashem Scholarship, enabling educators to conduct on-line study of the Shoa through the Holocaust museum in Jerusalem. People wishing to contribute or receive further information can contact the council at 973-929-3194 or holocaustcouncil@ujcnj.org.